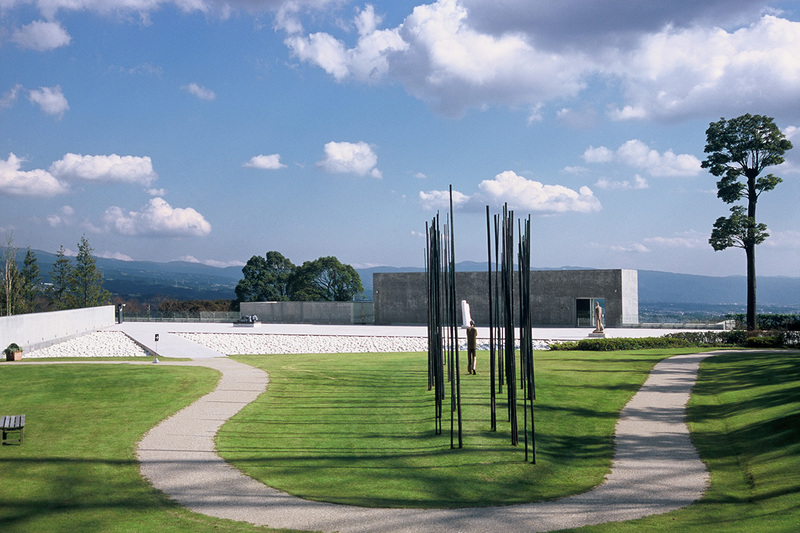 The architecture of Vangi Sculpture Garden Museum reflects the museum’s basic purpose of exhibiting the Italian sculptor’s works. Going through the entrance, passing by the mosaic wall based on a sketch by Vangi, the visitor sees the grand panorama of the upper level garden. From the terrace covered with white granite that reflects the sunlight, visitors can enjoy the view of the mountains of the Izu Peninsula and Hakone, and the town of Mishima and Nagaizumi below. 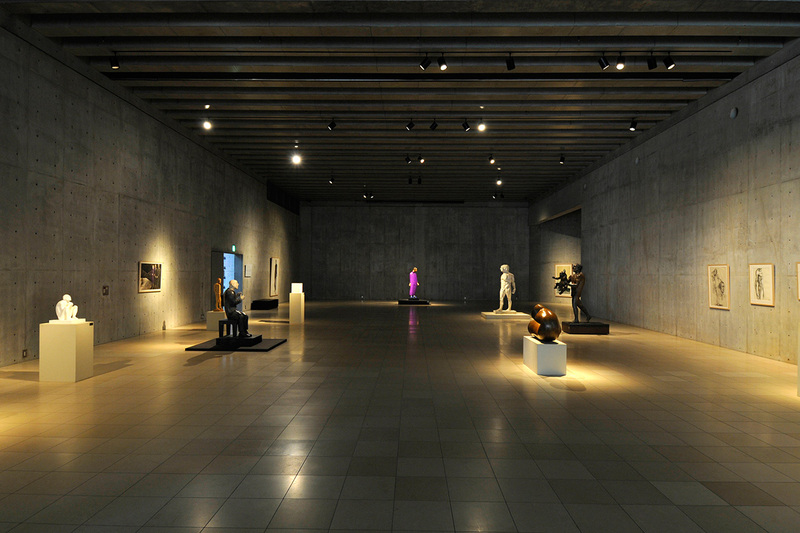 In contrast, the sculptures stand out in the dim lighting of the exhibition floor that lies under the terrace. Located in the museum’s stairwell, there is an Art-Space for temporary exhibitions. Museum facilities such as the restaurant and shops are built independently in the zone.